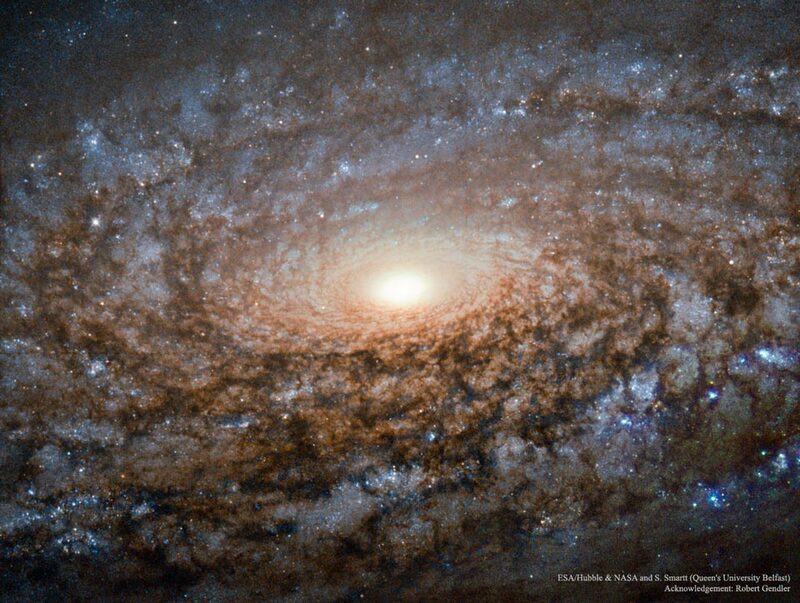 Explanation: This huge swirling mass of stars, gas, and dust occurs near the centre of a nearby spiral galaxy. 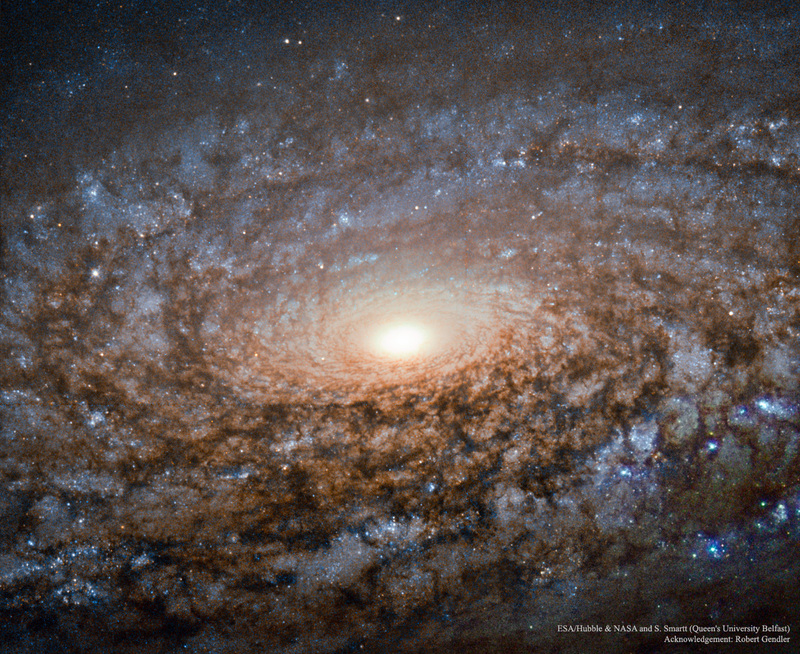 Gorgeous spiral NGC 3521 is a mere 35 million light-years distant, toward the constellation Leo. Spanning some 50,000 light-years, its central region is shown in this dramatic image, constructed from data from the Hubble Space Telescope. The close-up view highlights this galaxy's characteristic multiple, patchy, irregular spiral arms laced with dust and clusters of young, blue stars. In contrast, many other spirals exhibit grand, sweeping arms. A relatively bright galaxy in planet Earth's sky, NGC 3521 is easily visible in small telescopes, but often overlooked by amateur imagers in favour of other Leo spiral galaxies, like M65 and M66.